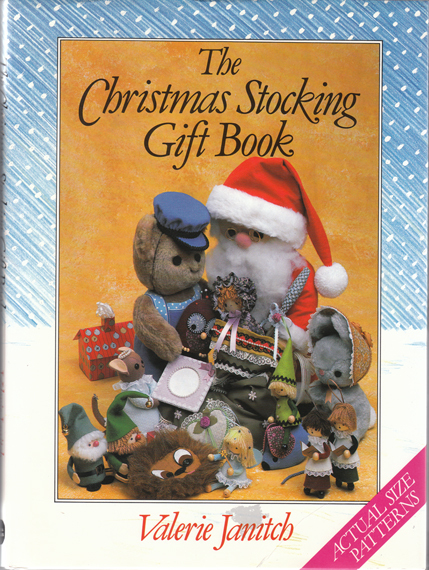 Description: "Christmas is coming, and it's busiest time of the year for making things. 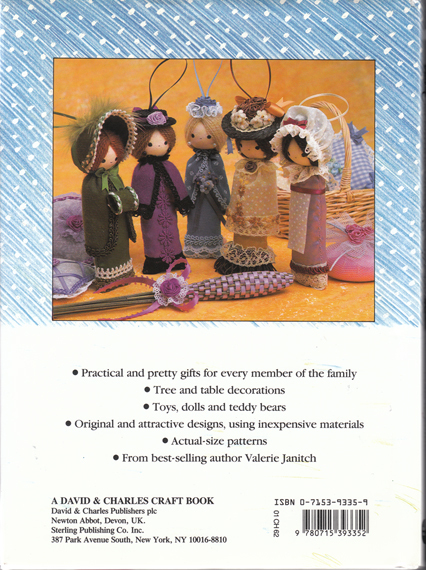 So, Valerie Janitch presents a host of gift ideas to keep you stitching happily – and productively." Magical, double-spread, high-quality colour photographs illustrate the finished articles in a "very special Christmas workshop". Beautiful colour vignettes throughout. Actual-size patterns and detailed diagrams ensure perfect results are obtained. Glazed pictorial boards repeat jacket design. Apart from a negligible bump to the head of the spine, the boards are as new. Unclipped (£12.99 NET) jacket has a minor crease to front and some light localised indentations on the rear. Otherwise it, too, is as new. Pages are in superb condition: glossy, bright, unmarked, and tightly bound. Measures 26.5 cm × 19.5 cm (10.5″ × 7.8″). 4to. 120 pp.